Hot news, Kiplingheads! Deadline reports that Freida Pinto is the latest actress to join forces with Andy Serkis for his directorial debut, Jungle Book: Origins. Pinto will not only be loaning her voice, but is slated to play one of the actual flesh-and-blood roles alongside Matthew Rhys and Rohan Chand. (Lending their excessively sonorous vocal talents will be Christian Bale, Cate Blanchett, and Benedict Cumberbatch, who will almost certainly be voicing a perplexed frog.) Pinto has worked with Serkis before—albeit in a different capacity—when he was blue-suiting it as sentient chimpanzee Caesar in Rise Of The Planet Of The Apes. Serkis’ picture, as we’ve previously reported, is just one part of an expanding multiverse of Jungle Book movies. The biggest competitor in this Armageddon/Deep Impact scenario is Disney’s adaptation, which has Jon Favreau, Idris Elba, and the actual name The Jungle Book on its side. 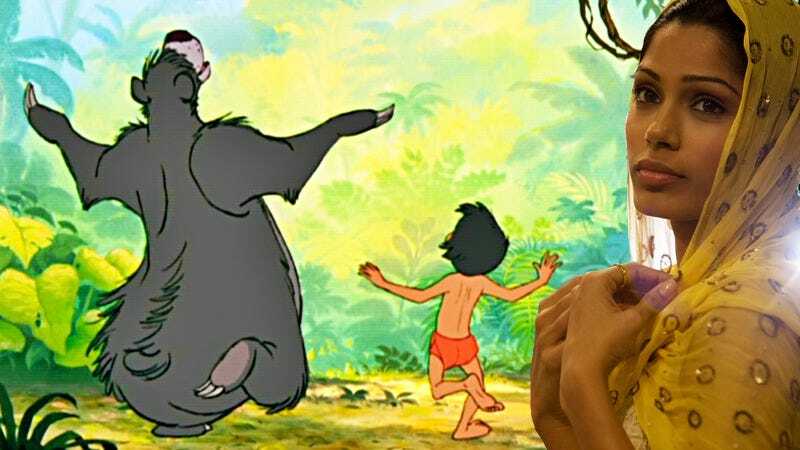 Jungle Book: Origins leaves the door open for greater franchise opportunities, however—Jungle Book: First Blood, Jungle Book: The College Years, and Jungle Book: The Animated Series are just a few ideas that spring to mind.